A beautiful idea for a wedding is a favor in classic style with a modern touch. These traditional Greek wedding favors combine all of the above. It was made with two excellent quality white tulles and satin ribbon in the stunning color of azalea. The final touch is the metal heart which adorns the favors, giving them a unique and elegant style. Colors can be changed upon request. 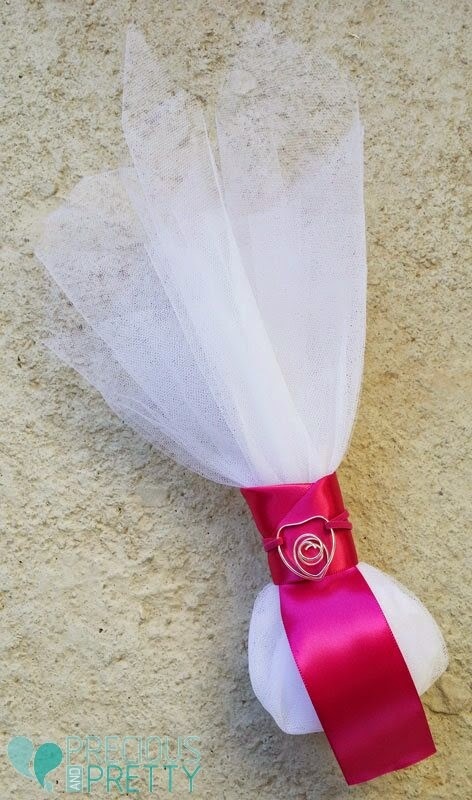 https://www.preciousandpretty.com/2015/02/greek-wedding-favors-g162.html Greek Wedding Favors|Orthodox Crowns|Stefana|Baptism Invitations Greek wedding favors G162 Traditional Greek wedding favors with tulles and metal heart Product #: Greek Wedding Favors|Orthodox Crowns|Stefana|Baptism Invitations_6652614010197690171 5 stars out of 5 reviews.